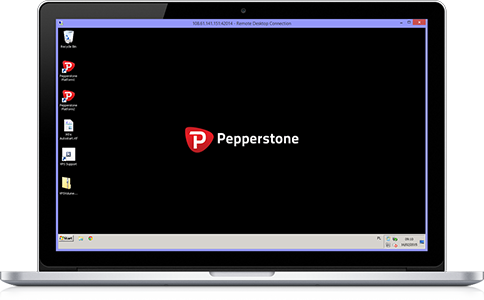 FXVM and Pepperstone have joined forces to provide clients with a full service and reliable VPS solution in which to run their MT4 EA's and signals. FXVM servers are some of the most powerful that money can buy giving you confidence that your VPS will maintain constant connection to the forex markets. Special offer &dollar;28.00 &dollar;22.40 each month! Yes. Our service is not exclusive to forex trading, and can be used with any regular Windows application, as well as all types of trading, all brokers, and all software platforms. Each VPS is deployed with an isolated installation of Windows Server 2008 R2 (or 2012), which looks and responds just like a normal PC. You can launch Chrome or FireFox to browse the internet, access email, etc., and download any applications that you might need. Of course, if you would like help installing any software that is not pre-included, we will be happy to assist. Simply open a support ticket to request assistance with anything. No. Our trading VPS systems are delivered ready-to-go. You will be emailed all the information you need to access your VPS immediately. All you will need to do is log in to your MT4 account, or download and install other software you would like to use. We have included Chrome and a number of other applications pre-installed for your convenience. Are there any contracts or renewal obligations? No. We provide all services on a month-to-month basis (unless you have chosen to pre-pay for multiple months). Regardless of your billing cycle, there is never any obligation to renew, and no penalties for cancelling your service. We accept Debit/Credit Cards, Cryptocurrencies, PayPal and Skrill payments. If you overpay, credit will be applied to your account; this allows you to prepay if desired. Account credit is always used before charging other type of payments for ongoing service (if there is no active PayPal subscription). Fast and easy, just what you need! Excellent product the best way to get your virtual pc. Reliable service for my trading accounts. No problems at all. Highly recommend. FXVM VPS is excellent, I love the service am receiving. Very easy to setup and use. I recommend this service.Good service. Wonderful service, no issues, would recommend again. Smooth server , fast latency and great customer support team. Excellent service excellent customer service. The best VPS out there for serious FX traders. Best VPS for trader, highly Recomended..
Best VPS I ever used. Easy to install and use. Everything is Ok!!! Fast download for software. And easy to use. Recommended! !